“ I started taking BAC almost exactly one year ago. I informed myself about the products by reading the Bio-Algae Concentrates website after my vet recommended BAC for my aging cats. I then decided to try BAC myself. For the past 15 years I’ve been told I’m pre-diabetic. Because of that, I’ve tried to change my diet and take supplements according to recommendations by various naturopaths and healers. But, despite everything, I remained pre-diabetic. I also take Synthroid and Liothyronine as prescribed by my physician. – Ingrid E., Seattle, WA. Prevention is the mother of invention. As a wellness warrior you should known by now that diabetes is the number one health crises worldwide. Who am I speaking to? Chances are, YOU. One in four American is already affected (diagnosed or not) with some degree by insulin resistance, pre-diabetes or diabetes. Diabetes is slow death by sugar. About 215,000 people younger than 20 years had diabetes type 1 or type 2 in the United States in 2010. In 2005-2008, based on fasting glucose or hemoglobin A1C (A1C) levels, 35 percent of U.S. adults ages 20 years or older had pre-diabetes – 50 percent of adults ages 65 years or older. Applying this percentage to the entire U.S. population in 2010 yields an estimated 79 million American adults ages 20 years or older with pre-diabetes. Having hopefully alarmed you to take action, I encourage you to read this article starting with this inspiring quote. While type 1 diabetes is a rare disease (affecting about 1 in 250 people, often appearing in youth before age 20), type 2 diabetics make up more than 90% of all diabetes cases. Type 2 diabetes ranks as one of the fastest growing diseases today, making it the number one health crises worldwide. Affecting over a quarter billion people, including at least 35 million Americans, there is a projection that indicates one in three children will develop type 2 diabetes in his or her lifetime. Two of every four with this condition will die early from stroke or heart disease. In 2004, 3.4 million people died from diabetes complications. The World Health Organization (WHO) estimates that diabetes-related deaths will double from 2005 to 2030. In the United States alone, pre-diabetes (also referred to as insulin resistance, metabolic syndrome, or Syndrome X) affects almost 80 million adults, many of whom don’t even yet realize it. Both pre-diabetes and type 2 diabetes conditions are a direct result of making poor diet and lifestyle choices. These conditions can be easily prevented or reversed by fueling the body with what it needs to heal itself. Pre-diabetes is a condition that should serve as a red flag that one is on the path to becoming a type 2 diabetic. The brain plays an important role whether one is a type 1, type 2 or pre-diabetic. Research shows the brain has its own insulin receptors (brain cell proteins) which play a major role in normalizing control of glucose. These brain cell proteins are necessary for cellular survival. Repeated episodes of dramatic blood sugar fluctuations render the hypothalamus sluggish at regulating the pancreas, contributing to diabetic conditions. There are many symptoms of pre-diabetes and diabetes, including carbohydrate cravings, mood changes, depression, blurred vision, excessive thirst, frequent urination, extreme hunger, tingling and numbness in the limbs, slow healing of sores and unusual weight loss or gain. Risk factors are amputation of limbs (there are about 10,000 diabetes-related amputations per year), blindness and retinopathy, chronic inflammation, gum and oral disease, cardiovascular issues, hypertension and increased risk for stroke, insulin resistance, chronic kidney disease and obesity. What we put into our mouths can either support or break down cellular structure in the body, thus affecting our innate healing ability. 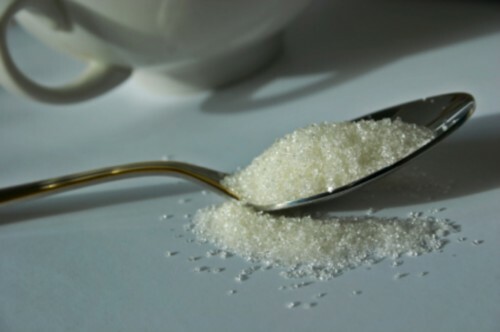 Sugar is one of the greatest threats to our healer within, as is the ingestion of low-frequency dead food. Eating sugar and dead food lack the light and energy nutrients that live food provides. High in calories, sugar suppresses production of ghrelin (the hunger hormone), leptin (the hormone of satiety), and increases production of triglycerides – all of which contribute to body fat and more cravings. Grains and certain carbohydrates are poor food choices for a diabetic. Contrary to belief, good plant proteins and lipids can form the basis of a healthy diet. Complex carbohydrates such as potatoes, pastas, breads and rice (a.k.a. the ‘white’ foods) are no better for you than processed sugar used in desserts. By just cutting out the white foods causing high blood sugar peaks that the body can’t handle, we greatly reduce the risk of diabetes. When eating carbohydrates, choose those that are as low on the glycemic index as possible (and avoid the offending white foods altogether). Juicing, green smoothies, frozen fruit sorbets (no sugar), raw salads, healing vegetable soups, and consuming little to no animal proteins make excellent food choices to instill new life and light into your cells. Make food your fuel to feed the body what it needs – it will thank you for it! 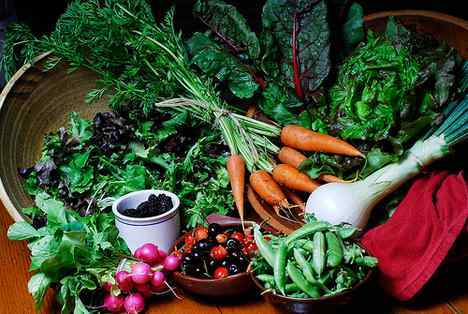 The joy of eating colorful, live food is that you feel immediate results – the benefits are immediate. Leptin is a hormone produced by your fat cells. It is called the hormone of satiety because it tells your brain when you eat, how much you should eat, and, more importantly, when to stop eating. You must therefore take action to become sensitive to leptin so that it calms your appetite when you have eaten enough to ensure your body’s needs. Insulin is a hormone that tells your body it can store the sugar in the blood you have in the form of starch in your liver (glycogen) or as fat. Therefore, in the case of type 2 diabetes, the worst thing to do is to take extra insulin. Of course, this will lower your blood sugar but the effect will be to exacerbate the problem you want to fight. Regain normal sensitivity to insulin and leptin in a natural way by making them your allies. The only way to do this is to change your diet and lifestyle. Not only can you prevent the onset of type 2 diabetes, but you can begin healing the moment you implement changes. Eat fermented foods like sauerkraut, organic raw cheese, fermented soybeans like natto and miso, fermented milk, and goat products like yogurt, or kefir. Eat slowly, and graze on more frequent smaller meals throughout the day which include proteins. Eat highest glycemic foods right before, during, or after a workout. Eat your largest meal in the morning (don’t eat late at night, you won’t burn it off and it will turn to fat in the body). Exercise improves the body’s use of insulin, burns calories and excess fat to control weight, improves muscle strength, lowers blood pressure, high cholesterol, and improves circulation to support heart health. Walk once or twice every day if you can. The Chinese have a saying, “Walking 100 steps after dinner can make you live to be 99 years old.” Of course this is a metaphor but it most certainly helps! Increase antioxidants with rich whole foods to restore and repair the sugar-induced damage to your blood vessels and organs. Consumed daily, these foods boost the immune system, thereby reducing the risk of suffering from complications due to oxidative stress. Give yourself a healthy daily dose of yoga, prayer, and meditation, being in a state of deep appreciation or walking barefoot in the grass. Studies have shown 15 minutes of time dedicated to any of these daily supports the body and reduces stress. In the book “Awakening the Genius Within”, the theory that BAC is an extraordinary brain food is explained; make sure to read it. The brain must function optimally at all times. Feeding your cells dead food and processed sugar creates a lazy brain, which tremendously affects metabolic functioning on every level. BAC is an efficient energy source for the cells of body and brain. BAC can play a fundamental role replenishing the brain with live nutrients to fill the gaps even the purest food cannot provide. In terms of healing, BAC as a food works with what comes naturally to the body. By making BAC part of your overall lifestyle plan, you are receiving a high-quality nutrient fuel that helps sustain vitality to the brain. BAC has ZERO toxicity – contains no additives, fillers or chemicals! Every capsule of BAC is 100% packed with pure, organic live nutrients that fuel your brain. BAC, a healthy diet and plenty of exercise can help your body restore its insulin imbalance in a very short time. Raw Stuffed Tomato – Great recipe to use up the harvest from your summer garden! Cut top off tomato and set aside. Scoop insides out of tomato with a spoon, and place them in a food processor or blender. Add sunflower seeds, nutritional yeast, apple cider vinegar, sea salt and black pepper, and blend well. Fold in celery, bell pepper, carrot, onion and parsley or spinach. Mix all ingredients together. Stuff the tomato shell with this mixture. Enjoy! Gagnon C, Lu ZX, Magliano DJ, Dunstan DW, Shaw JE, Zimmet PZ, Sikaris K, Grantham N, Ebeling PR, Daly RM; Serum 25-Hydroxyvitamin D, Calcium Intake, and Risk of Type 2 Diabetes After 5 Years: Results from a national, population-based prospective study (the Australian Diabetes, Obesity and Lifestyle study). Diabetes Care. 2011 May;34(5):1133-8. Epub 2011 Mar 23. Z Bahadoran, P Mirmiran, F Hosseinpanah, M Hedayati, S Hosseinpour-Niazi and F Azizi; Broccoli sprouts reduce oxidative stress in type 2 diabetes: a randomized double-blind clinical trial. European Journal of Clinical Nutrition , (11 May 2011) | doi:10.1038/ejcn.2011.59.